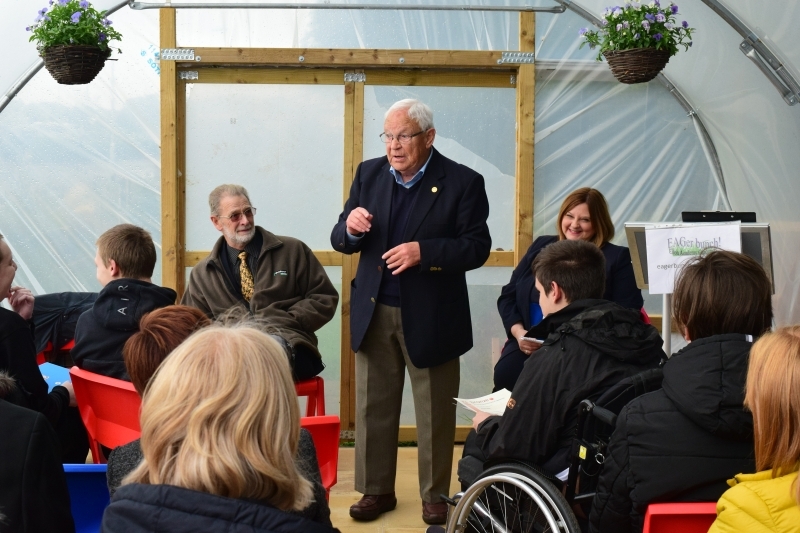 On Friday 21st September, pupils at Ellon Academy were excited to welcome Jim McColl, former Caley Honorary President and presenter of Beechgrove Garden, to their memorial community garden. 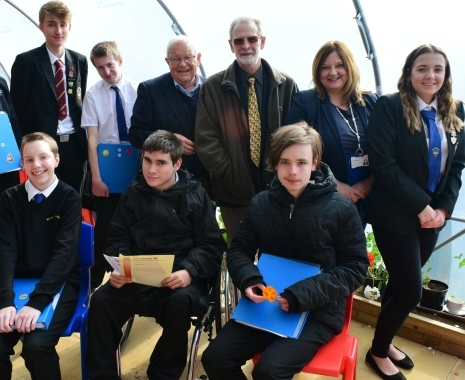 Jim was there to present the awards at school’s RCHS Grow & Learn award ceremony. They were thrilled that Jim took the time to visit the garden and meet them. Jim said: “I’ve seen some of the work pupils have been doing here and it is stunning”. He also wished pupils the very best for their future. Head teacher Mrs Pauline Buchan was also proud to award ASDAN certificates to pupils. 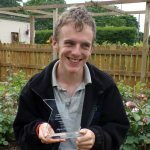 This course helps to develop life skills with many varied challenges which means these youngsters too helped with planting and maintenance jobs in the garden. The next big garden project at the Academy will be developing the walled area as a quiet reflective garden. You can see more photographs and follow progress at www.eagerbunch.blogspot.com. 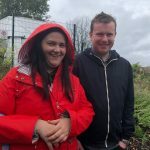 Growing and learning together – Help Yourself Grow, Glasgow.